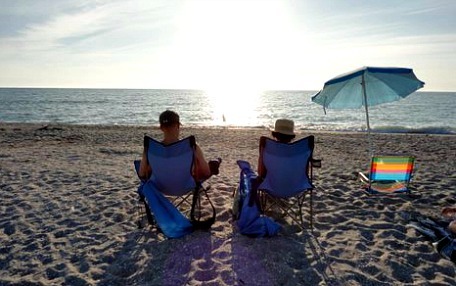 Snowbirding is a way to have it all, you can be with family up north in the summer, then come to Cape Coral for the winter! Snowbirds are people who come to Florida or other warm weather states for a portion of the year during winter to enjoy the sunshine either by renting or buying a home. And, if you're retired, spending leisurely days where you don't have to shovel snow sounds especially good. But for many, they don't want to make a permanent move to Florida because they have friends and family they would miss too much, or they don't want to spend summers in Florida, or they want to avoid hurricane season. 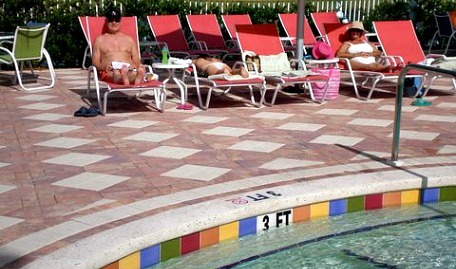 In Cape Coral we have another season ........ and that's when the snowbirds arrive! Season generally starts in October and lasts until April, high season runs from January - March. If you're going to snowbird, you'll need to figure out which state you want to be a resident of. You may want to investigate the tax implications, then determine how long you want to live in each state. To be a resident of Florida, you have to live here for 6 months. Then, check your health insurance coverage, set up automatic billing and make arrangements for newspapers and magazines, and if you're setting up residency in Florida, get your license and license plate changed. There are some things snowbirds in Florida need to know to prepare their home so that when they return, they won't have to do so much work to do and can spend their time relaxing! It helps if you have family, friends, or a homewatch service to check your lawn, pool, and house regularly, and to get hurricane shutters up and down. I recommend Miloff Aubuchon Property Management, a division of the same company that builds Aubuchon Homes. Hurricane shutters do offer a level of security for your home if you leave them up while you're gone, but also let thieves know that no one is there. If you live in a gated community, you won't have that problem, but many communities don't let you keep hurricane shutters up except during a storm. One good thing about snowbirding in a condo at a gated community is that the lawn, sprinklers, and outside of your house is taken care of for you. Do a quick check of your house and look for leaks, clean gutters, check pool cage cables, sprinklers and adjust timers, trim trees and bushes. Shut off your water. Be aware that appliances that are not used for months may need more repairs than those used more regularly. It is also recommended that faucets should ideally be turned on once a month in sinks and showers, but they should not be be left on when you leave, nor should drains be plugged. Unplug electrical appliances and if you unplug the refrigerator, the door must be propped open. Be aware that appliances that are used only now and then, such as your dishwasher, may need more repairs. Cape Coral water is also tough on toilets and faucets, you end up replacing parts every few years. Go to my Moving to Cape Coral page to see a list of my recommendations for a plumber, A/C company, landscaper, pool care, pest control, and more service providers for your home. Leave your thermostat at 82 degrees, and if you have a humidistat, set it to 65%, put in a new A/C filter. To absorb odors and moisture, set out bowls of cat litter or charcoal. Cover your toilets with plastic wrap and put something heavy on the lid to keep out bugs and cockroaches that may travel up your plumbing system once you stop using it and their daily food supply gets cut off. 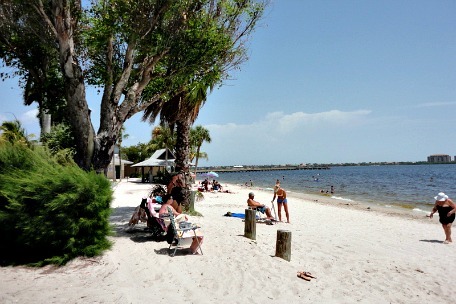 If you've been dreaming of living in paradise, Cape Coral has terrific values in real estate, tons of waterfront homes, some of the best fishing and boating in the world, gorgeous beaches, and lots of attractions. Snowbirding may be the way to go for you to get the best of both worlds, make life an adventure!